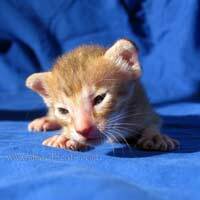 These photos are here for your enjoyment and education. 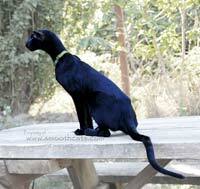 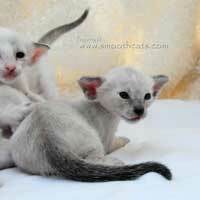 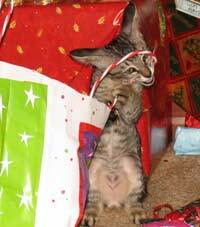 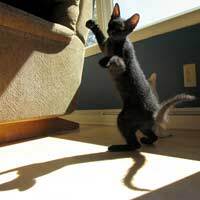 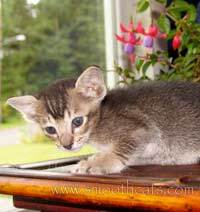 If you are a breeder, interested in the breed, or just loking for fun, enjoy watching the kittens' coat development from birth up until they leave for their new homes! 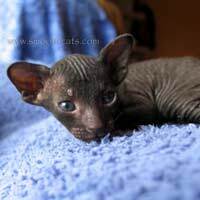 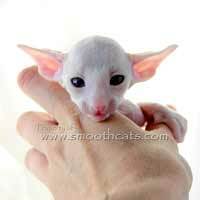 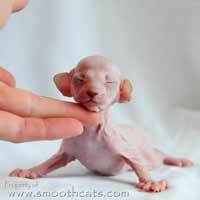 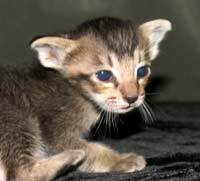 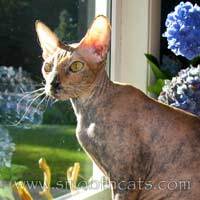 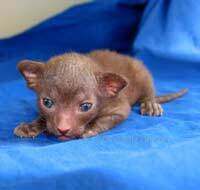 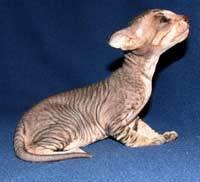 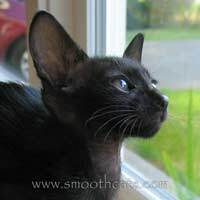 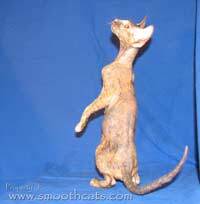 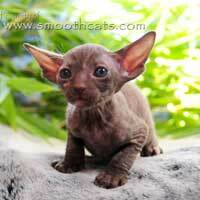 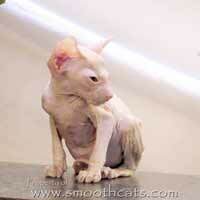 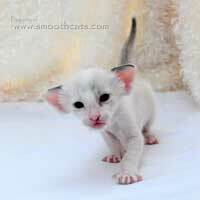 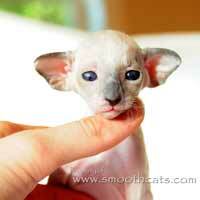 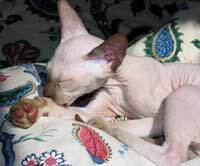 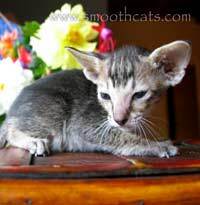 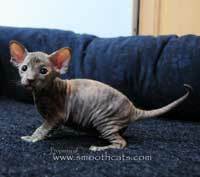 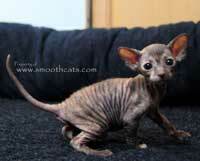 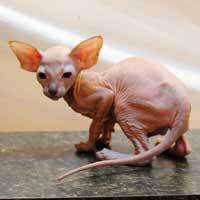 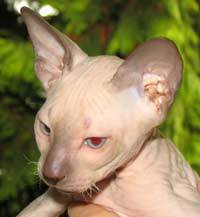 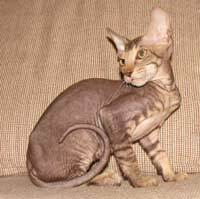 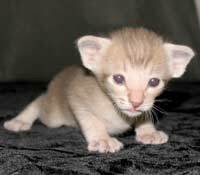 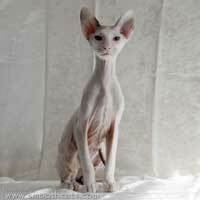 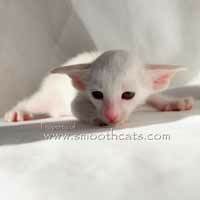 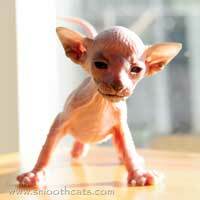 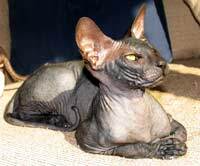 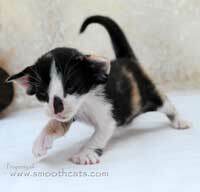 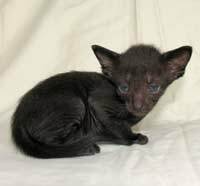 If you are looking for a pet hairless cat, please take a look at the photos of the young kittens' patterns and compare that to the photos of them as adults where their families have sent in updated photos of their babies! 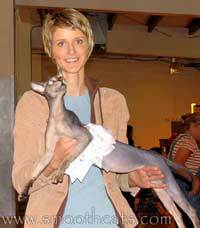 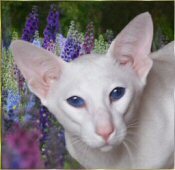 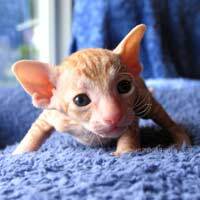 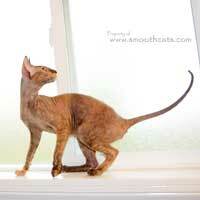 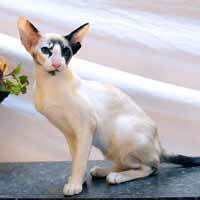 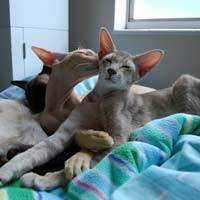 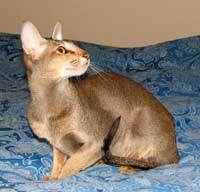 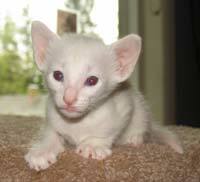 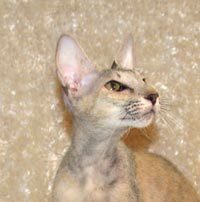 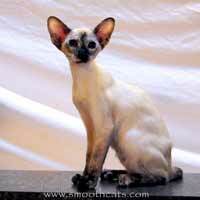 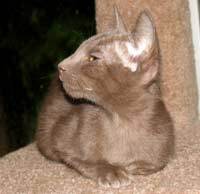 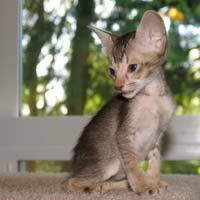 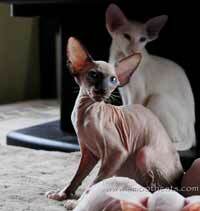 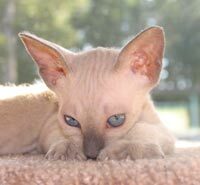 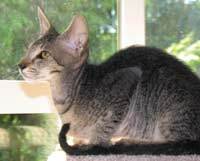 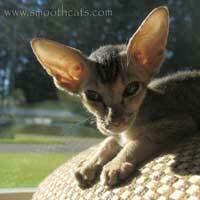 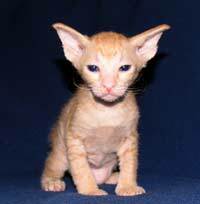 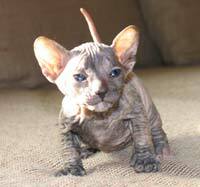 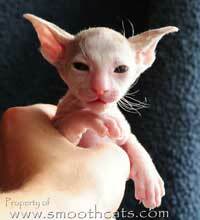 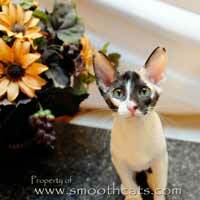 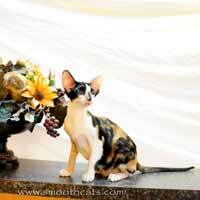 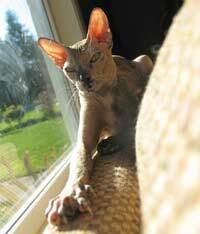 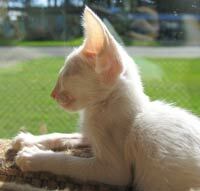 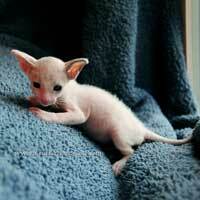 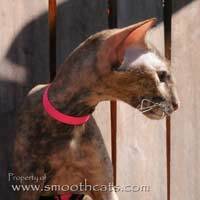 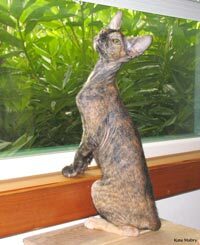 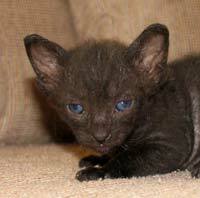 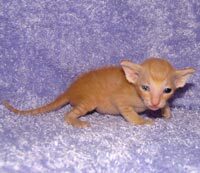 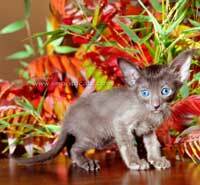 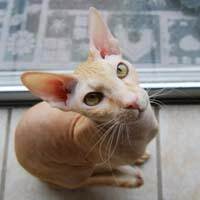 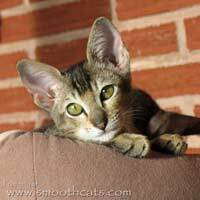 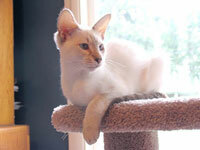 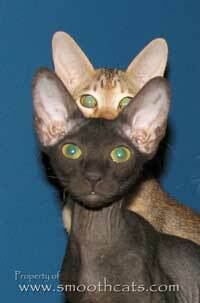 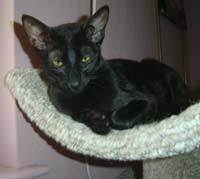 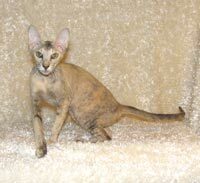 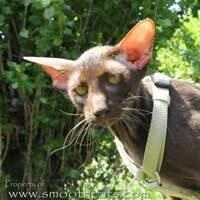 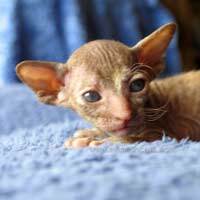 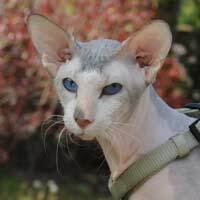 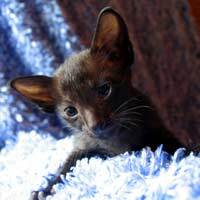 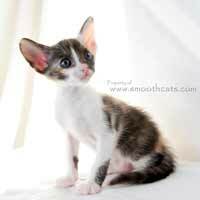 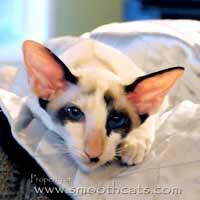 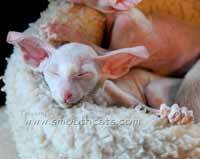 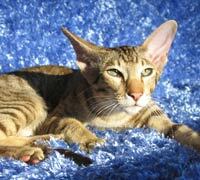 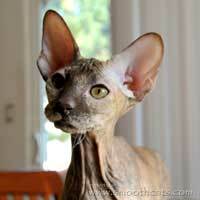 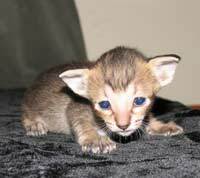 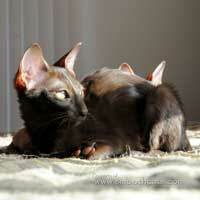 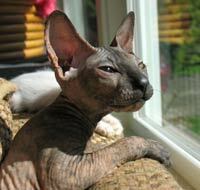 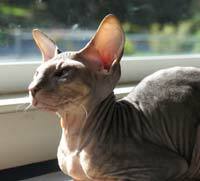 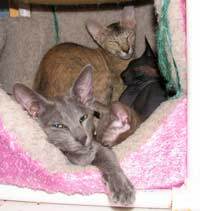 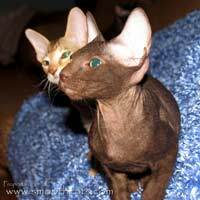 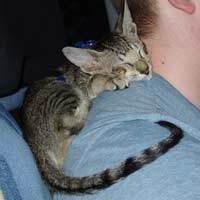 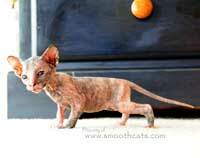 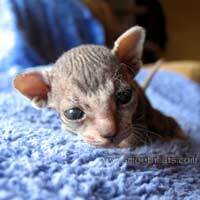 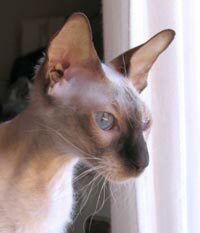 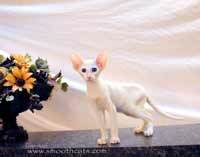 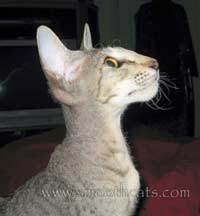 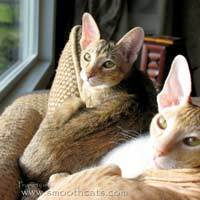 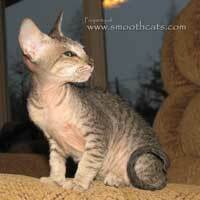 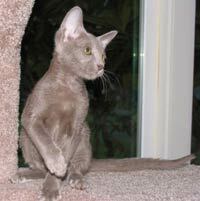 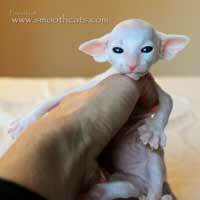 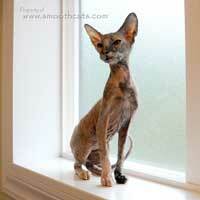 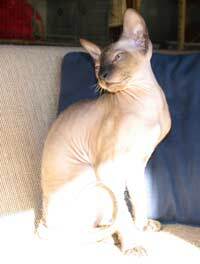 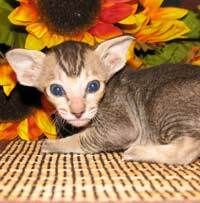 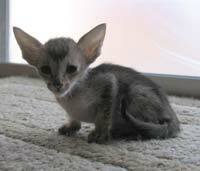 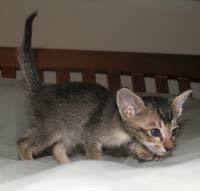 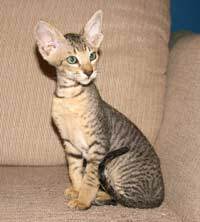 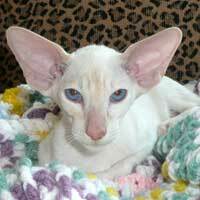 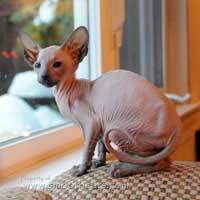 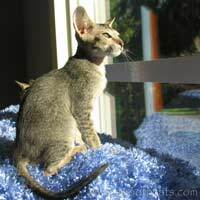 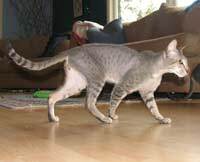 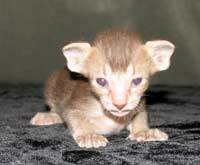 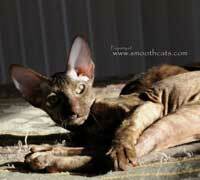 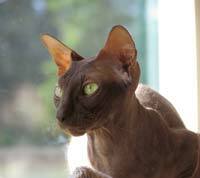 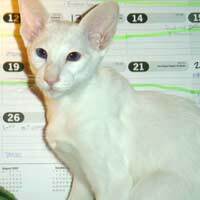 SGC Purrsia La Vie Et Lamour, "Chelsea"
Mercuryhold Malyshka of Shamira - "Baby"
We hope that you have enjoyed our Past Peterbald and Oriental Short Hair kitten galleries! 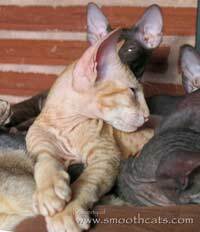 and their pages are updated as often as possible with photos sent by their adoptive families!